Gabriella Cilmi's 'Sweet About Me' was the most played song in the UK this year, according to the body that collects royalties for songwriters. The track, which was released in June 2008 and was a number six hit for the Australian singer, beat the likes of Coldplay's 'Viva La Vida', Girls Aloud's 'The Promise' and Take That's 'Shine' and 'Greatest Day' to the title. PRS for Music compiled the list based on the number of plays and performances of a song on radio, TV, online, or in concert in the past year. Eight of the top ten were released in 2008. Moloko's 2000 single 'The Time Is Now' played frequently on Sky Sports, appears third on the list, followed by Duffy’s ‘Mercy’ and Take That’s ‘Shine’. Girls Aloud's ‘The Promise’, which was named best British single at this year's Brit Awards, was number six while No Air, by American Idol winner Jordin Sparks featuring Chris Brown, was the seventh most-played. Rihanna, Sugababes and Take That, each had four entries in the top 100. However there was no place for Michael Jackson despite a surge in the popularity of his hits after his death in June. The UK Competition Commission has executed a U-turn by approving the merger of Ticketmaster and Live Nation; just two months after claiming the deal would harm consumers. The commission announced yesterday that it no longer believed that the public will suffer if the two companies combine forces. But, with opponents in America trying to derail the deal, it still faces an uncertain future. Ticketmaster, the world’s largest seller of tickets, and Live Nation, the world’s largest concert promoter, announced plans to merge back in February. The commission originally opposed the merger, ruling that the deal would also prove to be anti-competitive as it would prevent German company, CTS Eventim, from operating in the British market. Since that October announcement, however, the commission said the partners provided evidence showing CTS Eventim would not be harmed. The Commission also concluded that it would not be in the interests of the merged company to shut out other agencies from selling tickets to its UK concerts. In the US, the Department for Justice is probing the deal after critics claimed that the two companies would have unrestricted control over ticket prices if they are allowed to join forces. It could create a near-monopoly on large-scale concerts which would force consumers to pay more for tickets. The Department for Justice has been in talks with Live Nation and Ticketmaster. A decision had been expected later this year, but looks more likely to come in 2010. Owen Pallett, the creative genius known mostly under the moniker Final Fantasy, will release his upcoming album Heartland under his own name. The album, due out on January 18, will be the first release using his name. The string arranger, who has worked with the likes of Arcade Fire and The Last Shadow Puppets, has announced he will no longer be recording as Final Fantasy following copyright issues with a computer games manufacturer. The Square Enix video games firm release the Final Fantasy game series and own the rights to the name. In a statement Pallett said, "The laws of trademark infringement exist for good reason, and so I am voluntarily retiring my band name. In the New Year my record 'Heartland' is coming out [on January 18], and it is my first to be released in many territories, including Japan. With this in mind, I feel it is in my own best interests to definitively distinguish my music from Square/Enix games. "So, I am no longer playing shows as Final Fantasy. Subsequent releases, including 'Heartland', will be issued under my own name, Owen Pallett. Prior releases will sometime soon be repackaged and reissued." Singer-songwriter Ellie Goulding has won the Brit Awards Critics' Choice prize for the act most likely to break through in 2010. The winner has been announced two months before the ceremony, with Delphic and Marina & The Diamonds named as runners up. Goulding, who has yet to make the top 40, will collect her award live at the Brits Award ceremony on February 16. The 22 year old will also perform at the Brits nomination launch at The IndigO2 on January 18 which will be televised on ITV2. The previous two winners, Adele and Florence and The Machine, have both had massive success in their careers so far. The award is for emerging acts which music critics, plus radio and TV music supremos, believe will make a breakthrough in 2010. It is open to signed acts who release their debut albums in the coming year. Ged Doherty, Brits chairman said: "We have no doubt that Ellie Goulding will follow in the successful footsteps of Adele and Florence and the Machine”. He added “we wish her all the best." The BBC has released the longlist for its Sound of 2010 poll, a yearly competition designed to highlight the most exciting musical talent for the coming year. The fifteen acts on the list were chosen by a panel of 165 UK-based tastemakers, who each named their favourite three new acts, and those with the most votes were put on the list. The top five and winner will be unveiled in January. The panel’s choices were based on strict criteria. The act can be a performer of any description, band, singer, MC etc. The act must not have had a UK top 20 single or album, and they can be from any musical genre and from any country. They must not already be famous e.g. member of a hit band going solo, or a TV soap star. Contestants of X Factor and American Idol were strictly forbidden. This is the 8th year of the BBC’s Sound of… competition. Previous winners have gone on to major chart success. That list includes Little Boots, Adele, Keane and 50 Cent. Daisy Dares You, Delphic, Devlin, The Drums, Everything Everything, Giggs, Gold Panda, Ellie Goulding, Hurts, Joy Orbison, Marina & the Diamonds, Owl City, Rox, Stornoway and Two Door Cinema Club. 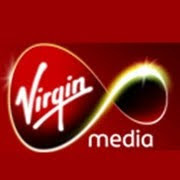 Virgin Media in the UK has stated that it will start using technology to monitor filesharing traffic on its network, reports Music Week. The CView system will be implemented by Data processing firm Detica. The tool has been specifically designed to detect copyright infringement within its music download service. Virgin Media is claiming that this is the first time in the UK that such a tool has been used to detect illegal filesharing. Virgin has stated that it will monitor around 40% of its broadband users but those being monitored will not be informed that they are part of the test base. This has been met with opposition from consumer bodies. The technology will allow Virgin to identify P2P packets and explore inside them to determine what content is licensed and what is not. It is the first ISP to implement such measures. Other ISPs, most notably TalkTalk, have been vocal in their opposition to such systems and disconnections. Under the recently-published Digital Britain report, the Government gave ISPs a year to reduce filesharing traffic on their networks by 70%. This was followed by the outlining of the Digital Economy Bill which could see a ‘three strikes’ disconnection and throttling policy imposed for persistent copyright infringers. Earlier this year, Virgin Media announced plans to develop an unlimited music download service in conjunction with Universal Music. No launch date has been confirmed yet. 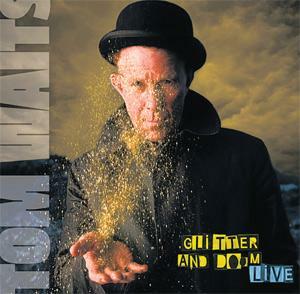 The first disc of Tom Waits much anticipated two disc live album ‘Glitter & Doom’ is a musical document of the legendary musician and storyteller’s 2008 Glitter and Doom Tour of the US and Europe. Disc one sounds like a recording of a Tom Wait show, even though the 17 tracks are selected from 10 different dates of his tour. However, each track flows effortlessly and seamlessly into the next. Waits turns in a very strong performance, with his rendition of classics like ‘Fannin Street’ and the yearning ‘Falling Down’ are heaving with unreserved emotional impact. His raspy vocals sound even more powerfully raw, particularly on tracks like the bluesy ‘Trampled Rose’. Waits' has left out almost 20 years of the start of his career here. Still he has managed to keeps it fresh by doing new arrangements of many tracks, such as the rocky makeover given to ‘Singapore’ and the groovy beats on ‘Get behind the Mule’. Disc Two contains a monolithic 35-minute track of a selection of the comic bromides, strange musings, and unusual facts that Tom traditionally shares with his audience during the piano set. Both discs are edited so they feel like one cohesive slab, despite the fact that they’re very clearly not. This is nice, in that the song selections are cherry-picked, but the listener still gets an experience that feels like Waits’ legendary live show. U2 are to headline next year's Glastonbury Festival, helping the event celebrate its 40th anniversary. The Irish rockers have been slated for the Pyramid stage's top spot on Friday 25 June, in what will be their first ever appearance at the Somerset festival. Organiser Michael Eavis had promised something special for Glastonbury's 40th anniversary, and in booking a band that have been rumoured to headline every year since the mid 1980s, he's done just that. Eavis said "The 26-year-old rumour has finally come true." "We've been trying for years, and now we've finally made it happen. I'm sure they will pull out all the stops to make next year's Glastonbury the most memorable ever," he added. As the 2010 event marks its 40th anniversary, Mr Eavis has promised a line-up fit for the occasion. Some 177,500 people will be at the event after tickets sold out in 24 hours last month. The festival will take place from Friday 25 to Sunday 27 June 2010. So far, no other headliners have been confirmed. Returning for its fifth festival of up-front music, The Great Escape is once again set to unearth the hottest bands from across the globe and bring them to Britain's favourite seaside town in 2010. 2009's event saw Brighton rocked, as 15,000 fans and music industry types swarmed to the south coast to witness a whopping 400 of the newest and most exciting bands around doing their thing at over 34 venues spread across the city. The Great Escape will take place in Brighton from 13th - 15th May 2010. If you would like to be considered to play the next Great Escape, then register your band today for free. Simply got to: www.escapegreat.com/artistRegistration/ and complete the application form. Since being founded in 2006, the festival has developed a fantastic reputation for unearthing new music, don't miss you're chance to be part of next year's line up. Homecoming Live: The Final Fling has been scaled down following poor ticket sales. Homecoming Live: The Final Fling was to feature three major concerts, held in Glasgow’s SECC, with the top acts booked to play in the biggest hall in the venue. Now the event, one of hundreds set up to celebrate the 250th anniversary of the birth of Robert Burns, is to be staged in smaller halls within the complex due to lower numbers attending than previously predicted. The event will feature big names including Midge Ure, Deacon Blue, The Dykeenies, Idlewild, The View, Dougie MacLean and Hue and Cry. Despite the impressive line-up, sales have been disappointing and promoter Geoff Ellis believes that the recession and attempts to ‘politicise’ the event are to blame for the lack of interest. Ellis, head of DF Concerts, said he was convinced that by moving the music gigs to smaller halls, the atmosphere would be better for gig-goers as they would not be confronted with empty seats and empty spaces. “The reality is that ticket sales are not as good as we would have liked. But I think the atmosphere will now be much better than it would have been. There’s nothing better than being in a full venue for a concert,” he said. The Clyde Auditorium will be used instead, and other artists will now be performing in the Lomond Suite and Hall 3 in the SECC. The ten winners of the 2010 European Border Breakers Awards (EBBA’s) have been chosen. They will receive their awards at a ceremony presented by Jools Holland on 14 January 2010, in Groningen, Netherlands. The show will be attended by the European Commissioner for Education, Training, Culture and Youth Maroš Šefčovič and will be broadcast on TV throughout Europe. European Border Breaker Awards are given by the European Commission, in cooperation with the European Broadcasting Union (EBU) to highlight the success of 10 debuting European artists in crossing national borders by selling albums and touring outside their home territory. The aim is to stimulate the cross border circulation of creativity, encouraging the mobility of artists, groups and composers who succeed in reaching audience outside their own country, highlighting Europe's magnificent cultural diversity. United Kingdom Charlie Winston "Hobo"
Austria Soap & Skin "Lovetune for Vacuum"
Estland Kerli "Love Is Dead"
Portugal Buraka Som Sistema "Black Diamond"
France Sliimy "Paint Your Face"
Netherlands Esmée Denters "Outta Here"
Italy Giusy Ferreri "Non Ti Scordar Mai Di Me"
Former winners of the award include now established artists such as Carla Bruni, Adele, Katie Melua, Damien Rice, The Thrills, Gabriel Rios, The Fratellis, Basshunter, Dolores O’ Riordan and many more. This year's awards include a new category, the 'Public Choice EBBA'. One of the 2010 winners will be chosen by the European audience as the most popular border breaking act in Europe and will be rewarded with the Public Choice EBBA. Voting for the Public Choice Award takes place online from mid-November until the end of the year at www.europeanborderbreakersawards.eu and is supported by EBU radio stations throughout Europe. The winner of the Public Choice EBBA will be announced during the ceremony on 14 January in Groningen. Absolute Radio is ditching its Absolute Xtreme digital radio station and launching a brand new non-stop station devoted entirely to music of the 1980s. Absolute Xtreme launched in 2005 under the name of Virgin Radio Xtreme was aimed at playing new rock for a youth audience targeting 16-35 year olds. However the station suffered from fierce competition from more established 'new music' brands such as BBC 6Music, Xfm, NME Radio and Kerrang. The new station, Absolute 80s, will include a nostalgia-based playlist aimed at 30-54 year olds with a jukebox format without DJs. The station will also feature evening playlists that have been designed to create a party atmosphere. Core artists will include Depeche Mode, Blondie, The Human League, Frankie Goes to Hollywood, Duran Duran, Prince, ABC and Bon Jovi, plus some lighter fare from artists such as Bananarama, Culture Club and Madonna. The station, which launches in early December, will be streamed nationwide on the internet and on digital DAB in London on the slot currently held by Absolute Xtreme. The Absolute 80s station is the newest addition to the company's portfolio, which also includes the main Absolute Radio station plus Absolute Classic Rock. European Parliament lawmakers and EU governments have reached an agreement on new draft telecommunication rules which offers more protection for Internet users. The outcome strikes a compromise between governments seeking to impose tough anti-piracy laws and those who want greater protection for consumers. Under the compromise, any decision made to sever Internet access, an approach championed by several EU countries to clamp down on illegal file-sharing, must be subject to a legal review. Internet users in all 27 EU states accused of illegal file-sharing are to be put through a "fair and impartial procedure" before being disconnected. Authorities will have to provide evidence of illegal downloading first. The European Parliament and Council is due to make a decision on its Telecoms Reform Package later this month. Backers hailed the deal, saying it would legally underpin the right to Internet access in Europe while stopping short of facilitating widespread criminal piracy. Support act, Yeasayer, was an obvious choice since Natasha Khan collaborated with the Brooklyn band during the production stage of her last album, Two Suns. Their special brand of apocalyptic psych rock initially seemed to meet with a degree of bewilderment. However, the cheers from the Edinburgh audience seemed to grow as the set progressed, with debut-album gems ‘Wait for the Summer’ and ‘Sunrise’ standing out. As it’s the last night of the current tour I was wondering what kind of performance we were about to get. However, Natasha Khan gracefully floats barefoot onto the stage and immediately launches into a number that’s full of dramatics, with lightning bolt flashes and thunderous drums and kind of answers that question for me. Straight away it’s pretty obvious that this girl can really sing, and sing beautifully at that, no coarse or strained vocals, given it’s the last night. Natasha Khan and her band are completely professional, effortlessly recreating the musical complexities of her two critically acclaimed albums, 2006's Fur And Gold, and 2009's Two Suns. Her songs are fantastical tales with driving rhythms and atmosphere in abundance but dynamic drummer Sarah Jones almost stole the limelight in up-tempo tracks like Glass, Pearl’s Dream and the slow-building Siren Song, but Khan deservedly pulls focus with her stunning renditions of the more measured Horse and I and Prescilla. Although the band was as tight as you'd expect at the end of a tour, the whole performance was a bit lacklustre there was something missing. It felt as though they were just going through the motions as it was rarely uplifting and never engaging with Khan’s stage presence less than commanding. Music Live 2009 celebrates its tenth anniversary next month at Birmingham NEC. The event takes place at the NEC, Birmingham from Friday 6th until Sunday 8th November and for the past decade it's been the UK's favourite music-making event, inspiring and educating musicians in their thousands. Music Live is the biggest exhibition of musical equipment and instruments in the UK. The show attracts music junkies on all different levels; from those who are playing professionally through to wannabe rock stars! Every year there’s a fantastic showing of the latest and greatest guitars, drums, synths, amps, recording gear and software from the world's best-known brands, as well as educational advice and demonstrations throughout the whole show. Exciting live performances are also part of the Music Live experience, which regularly pulls in crowds over 22,000 strong. This year acoustic guitar wizard and YouTube phenomenon Erik Mongrain, new UK bands Cars on Fire and They Fell From The Sky and Ocean Colour Scene’s Damon Minchella are all scheduled for Live Stage shows and masterclasses. On Sunday, November 8, the Live Stage is given over to some of the country’s finest tribute bands, including Iron Maiden tribute Hi-On Maiden who will be creating the classic 1988 Donnington Monsters of Rock bill. This year the show also ‘hosts’ the Hellfire Festival, taking place on the Music Live stage each evening and featuring classic names alongside hot new talent, from Saxon and Anvil to Sylosis and Blakfish. Joint discounted tickets for both Music Live and Hellfire are available to allow access to both events. Oxjam is taking over five venues in Edinburgh on Friday 23rd of October for an evening of the best live music around in aid of Oxfam GB. One wristband gets you access to ALL of the venues below, all night long. In addition there will be a couple of exciting pairings going on the night, with the highlight being a secret gig in the Oxfam store on The Royal Mile. Keep an eye on the oxjamedinburgh.blog for more details. This year all proceeds from Oxjam will go directly to those already affected by climate change. Whilst for many climate change is a debatable subject the effects are being felt in the world's poorest communities, this is your chance to make a difference. 80 pence out of every pound donated will go directly into aid. BBC Introducing is giving four unsigned artists the opportunity to record a session at the legendary Maida Vale Studios as part of 2009’s BBC Electric Proms. This once in a lifetime opportunity will see the artists given exposure to industry experts who will guide them in creating unique sessions to be broadcast across BBC Radio from Tuesday 20th October to Saturday 24th October. The four acts chosen, Kid Adrift, Daley, Lost Knives and Lettie, were discovered via BBC Introducing regional shows and the BBC Introducing music upload service. Each artist will be championed across the week of Electric Proms with a session track being played by DJ’s on BBC’s flagship music radio stations, Radio 1, 1Xtra, 6 Music and Radio 2 respectively. Videos of the sessions will be streamed online at www.electicproms/2009/introducing alongside behind the scenes footage of their recording process. Now in its forth year, the BBC Electric Proms challenges artists to come up with new and original material or arrangements of their music to reflect the central theme of the festival, creating new moments in music. Headline acts will include Robbie Williams, Dizzee Rascal with a live band & orchestra, Doves with the London Bulgarian Choir, and Smokey Robinson all exclusively at The Roundhouse, London. The UK Competition Commission has ruled against the controversial merger of ticketing giant Ticketmaster with the world's largest concert promoter Live Nation. In a provisional ruling, it said it was concerned about the joining of the world's largest ticketing firm and the world's biggest concert promoter. Such a deal would limit the development of competition in the market for sales of tickets to live music. As well as higher ticket prices, the Commission feared customer service could get worse, and there would be no innovation in the market. The US Justice Department is also investigating the proposed merger, which was announced in February. Both companies have said the merger would improve ticket price options, increase attendance at events and make ticket technology better. Live Nation operates a number of large UK concert venues, as well as manages a string of high-profile artists. The company signed the likes of Jay-Z and Madonna to deals that include touring, publishing and albums, as well as concert promotion deals with U2 and Shakira. The watchdog’s main concern was based around an agreement that Live Nation had entered into with Europe's largest ticketing agent, CTS. Live Nation signed an agreement with CTS for ticketing of its live music shows and venues in the UK, shortly before the merger with Ticketmaster was announced. The Commission said the deal would have given CTS a way into the UK market. And it argued that if the merger went ahead, there was a danger of competition being reduced because Live Nation would "seek to limit" its relationship with CTS - limiting how many tickets it made available. This could force up ticket prices, lead to poorer customer service and may have "the effect of putting CTS's future prospects in the UK in considerable doubt", it said. Live Nation and Ticketmaster said they were committed to the merger going ahead and were confident it would eventually be approved. "Where the recording industry was once the economic engine for the music business, it is live entertainment that is now the future of the music industry," the firms said, adding the deal would "help achieve needed change". The watchdog will now consider ways in which its concerns could be addressed, before issuing its final report, due on November 24. Guns N' Roses have come out in defence of the $1 million (£630,000) lawsuit which was brought against them by German electronic composer, Ulrich Schnauss. Record companies, Independiente and Domino, who own the licensing rights to Schnauss' music, filed a lawsuit against GN'R and their label Universal Music Group. The allegations are that the intro to the GN'R song 'Riad N' The Bedouins' uses parts of the Schnauss tracks 'A Strangely Isolated Place' and 'Wherever You Are'. It's said their case focuses on 45 seconds of ambient soundscapes that form the introduction of Riad N' The Bedouins. The bands manager Irving Azoff told Rolling Stone "The band believed when the record came out and still believes that there are no unauthorized samples on the track." Adding "[Guns N' Roses] vigorously contests these claims and intends to respond accordingly." Scots pop legend Edwyn Collins has been stopped from putting his own music on the internet by Warner Music Group, even though they do not own the rights. Collins wanted to put his 1995 hit single ‘A Girl Like You’ on his Myspace page for fans to enjoy and download for free. However, the social networking site would not allow this, because Warner Music Group claimed it was their song. Grace Maxwell, wife and manager of the former Orange Juice frontman has detailed her "running battle" with MySpace and Warner, who she says are "claiming the ownership" of the song, despite Collins owning the copyright for it – on her blog. "I was told Edwyn was attempting to breach a copyright and he was sent to the Orwellian myspace copyright re-education page," she wrote. After writing to MySpace she was put in touch with a Warner Music Group rep who "promised to get it sorted" some months ago. She added that "MySpace are not equipped to deal with the notion that anyone other than a major can claim a copyright". She also went on to vent her frustration that 'A Girl Like You' is being sold elsewhere on the internet rather than being offered for free. "'A Girl Like You' is available for sale all over the internet. Not by Edwyn, by all sorts of respectable major labels whose licence to sell it ran out years ago and who do not account to him," she wrote. The track propelled Collins to new fame during the 90s, when it hit number 4 in the chart and stayed in the top 40 for 14 weeks. Glastonbury fans are being reminded that they must register by 23:59 (BST) tonight (October 2) if they want to buy tickets for the music event. Anyone hoping to buy tickets for Glastonbury 2010 must register by tonight before they are allowed to buy tickets which go on sale on Sunday (October 4). Tickets cost £185 plus a £5 booking fee, and £4.95 for postage and packaging. Fans can pay a £50 deposit to reserve a ticket and pay the rest by February 28 next year. Festival goers can still choose to pay the full price in one go from Sunday. Fans from both the UK and overseas will need to enter their personal details, plus submit a digital passport-style photo. There is also an option to extend your registration details for future years to prevent having to re-register again. Tickets will arrive with the submitted photographs printed on them to help prevent touting and fraud. Glastonbury 2010 – 40th Anniversary - takes place next year on Worthy Farm, Somerset on June 25-27. Fans can camp on site from the Wednesday (June 23) to the Monday (28). Camping is included in the ticket price. The line-up is yet to be announced. Mind Chaos is the long awaited debut album from Portland-based quartet, Hockey. Combining razor sharp lyrics with funky baselines and a lot of soul, Hockey have produced an extremely catchy, uplifting and thoroughly enjoyable debut offering. The album is energetic and cheery with each song as infectiously catchy as the next, guaranteed to lift the darkest of moods, from the synth-adorned debut single, "Too Fake” to the upbeat electronic funk of "3 AM Spanish". This is an album full of literate songs that’ll get you up dancing, including hit single “Learn to Lose”, that combines a vocal soulfulness with a funky beat and the immensely catchy punchy choruses of “Song Away”. They offer the listener a mix of songs to satisfy any musical taste, from the more Rock influenced “Curse this City”, with it’s crunching guitar solo, through to the chilled out "Work", which blends world weary lyrics with dancefloor groove. They have clearly drawn influence from a range of artists, but added their own unique sound with a modern twist of Pop and Indie party anthems. Hockey have charisma as well as an incredible energy about them that’s totally infectious. The crowd went wild when the unassuming young singer-songwriter from Torrance, just outside Glasgow, Tommy Reilly, announced “This is the best night of my life”. After winning Channel 4's talent show Orange UnsignedAct earlier this year, the likeable lad has been taken to heart by his Scottish fans. He seems like the kind of guy who really deserves it, as he remains modest and unaffected by his raw talent. Reilly opens his set with, Just Like the Weather, a song that makes comparisons between a past relationship with a girl to that of the horrible weather of his hometown. Although he’s not the greatest singer, Reilly still manages to captivate you as he sings with a soft Glaswegian accent and his charismatic charm. “This place is huge,” he marvels, as he looks around the Glasgow venue in bewilderment and scratches his head. When he first penned the lyrics “Tonight I wander carelessly, through the tunnels of the ABC” of what became his debut single, Gimme a Call, I bet he never imagined that this night would ever come. The place went crazy when he announced “This is a song about the ABC” before playing, Gimme a Call, the crowd showed their appreciation as they took the lead on vocals during the chorus, managing to drown out Reilly’s efforts on acoustic guitar. The modest 20 year old finished his set with his unique rendition of Mr Brightside, and it was obvious that the Glasgow crowd, men and woman alike, had full admiration and affection for him. Tommy Reilly’s performance was not seamlessly flawless; neither were his vocals pitch perfect or even outstanding but that doesn’t really matter because it’s his passion and his charismatic charm that makes him endearing and a joy to watch. Excitement is building as the city of Glasgow gets ready to host this evenings 14th annual MOBO Awards, the biggest urban music award ceremony in Europe. The ceremony, which celebrates music of black origins, has never ventured outside of London since it was launched in 1996, until now. A move that has seen the event subjected to criticism in the last few weeks, with some claiming the change of location has put some big names off appearing. Acts such as Beyonce, Eminem, Jay Z, Lady Gaga, Mariah Carey, Akon and Kanye West will not appear at the SECC - despite being nominated. However, CEO and Founder of the MOBO’s Kanya King denied this and defended the decision to move the ceremony, by complimenting the Glasgow’s passion for music. King said: "The fact that we are holding the awards in Glasgow this year is testament to the fact that MOBO music is the sound of Britain as a whole. The reception from Scotland has been great and we cannot wait to put on our show up there." There will be a tribute to Michael Jackson this year, with family members Latoya and Jermaine performing in memory of their brother. The event, co-hosted by Radio 1's Reggie Yates and US R'n'B act Keri Hilson; will be shown live on BBC Three this evening at 9pm. Edinburgh music social night Born To Be Wide is to host a seminar looking into the role of the producer. Born To Be Wide Presents – The Producers will take place on October 1 at Edinburgh’s Voodoo Rooms, with Oasis / The Verve producer Owen Morris, Alextronic Studios’ Paul Croan, Echo And The Bunnymen producer John McLaughlin and Teenage Fanclub drummer Francis Macdonald all taking part. The event is intended to give an insight into the producer’s role and provide tips on how to become a producer. It will be supported by the Musicians’ Union. “I’m extremely excited about this seminar and it is great that we can draw on such a wealth of experience without having to look further than Edinburgh and Glasgow,” says Born To Be Wide co-organiser Olaf Furniss. McLaughlin and Morris will both DJ after the panel event. The IndigO2 London will play host to one of the major events in the unsigned music calendar, The Surface Unsigned National Showcase, this Saturday 26 September and Sunday 27 September. The two day festival will be showcasing the best 16 up-and-coming unsigned bands from the Surface Unsigned Festival 2009. 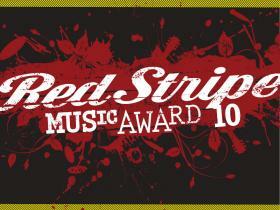 It is the climax of over 250 nights of live music in 7 months with the best 16 bands chosen from over 12,000 applications. The Surface Unsigned Festival is the only national live music event that brings unsigned bands and artists to the attention of all aspects of the music industry. Surface Unsigned is a festival of new music held throughout the country in aid of discovering and promoting new talent. The prize winners of the festival will be decided by a combination of text votes and by the committee of industry guests. New anti-piracy measures look set to become law in France, despite numerous setbacks and redrafts. The Creation and Internet law has been passed this week by both the Senate and the National Assembly, the latter clearing it by 258 votes to 131. It requires the signature of President Sarkozy to become law, but considering his very public campaigning for tougher anti-piracy measures this is a mere formality. The bill could, however, still face a challenge from the Constitutional Council. Consumer bodies are also expected to lodge opposition to its progress, arguing that it infringes civil liberties and the right to a fair trial. Under the measures, persistent infringers who ignore two warnings will have their internet connection terminated for a year. They could also face fines of up to €300k (£273k) and a 12-month prison sentence. The Minister of Culture in France has suggested the first warning emails under the new law could be sent as early as January next year. Arctic Monkeys have received the most nomination for the 2009 Q Awards with four mentions. They are up for best track, best album, best band in the world today and best live act. The Sheffield band will compete with Kings of Leon, Oasis, Coldplay for the Best Act in the World Today, along with Muse, who are also up for Best Track for their new single Uprising. One of the most prestigious events on the music calendar, the Q Awards 2009 will take place at Grosvenor House, Park Lane, London on Monday 26th October. Other acts that will battle it out for a gong on the night include, Dizzee Rascal La Roux, Lily Allen, Florence and the Machine, Friendly Fires and Pixie Lott. Organisers have confirmed that tickets for next years Glastonbury festival will go on sale on at 9am (BST) October 4. As with previous years, those hoping to buy tickets to the 2010 festival must register on glastonburyregistration.co.uk at least 48 hours before tickets go on sale. Glastonbury's £50 deposit scheme will also be in place this year, giving fans the option of reserving a ticket ahead of paying the full price next February. Weekend tickets for Glastonbury 2010 cost £185 – £10 up on last year's price – plus £5 booking fee (and £4.95 postage). Eavis has defended the rise in ticket price, saying: "I do try and hold it down, but the girls doing the budgeting are so thorough and so clever, and they said, 'Look, the minimum rise we can get away with is 10 quid more'. It is a shame, because I really wanted to hold the price." Next year will be the 40th anniversary of the festival and founder Michael Eavis has already hinted that the line-up is set to include a band from each year the event has been running. But, as always, details of who will perform at the festival remain firmly under wraps. The 74-year-old farmer said: "Now I'm fully confident the anniversary line-up will be just that little bit special when it is revealed next year. We want as many people as possible to be part of the celebrations and to enjoy what we do here." The Scotcampus Freshers’ Festival music line-up has just been revealed and it’s sure to be bigger and better than before, with an exciting and diverse range of acts signed up to take part. Acts performing at this year’s event include electro-pop disco deviants Pooch, as well as Exile Parade, Nevada Base, Nixa, The Meat Men, Suspire and Little Eskimos, to name a few. The bands will help get the event, now in its third year, off to a brilliant start, with music-loving students able to hear the hottest music around in the Relentless Energy Drink Music Tent each day. In addition to the fantastic music line-up, over eighty big names have been signed up to exhibit in the festival's Main Arena including a whole host of cool lifestyle brands such as Urban Outfitters, Dominos, YO! Sushi, The Model Team, Blackberry and Matalan. For the second year in a row the event will be held in Glasgow’s George Square. The free festival is the perfect event to introduce new college and university starters to student life, and give them a wealth of information and advice about what being a student is all about. The Scotcampus Freshers' Festival runs from Thursday 1st October to Friday 2nd October from 10am-6pm each day, and this year it looks set to attract around 12,000 students. The PRS Foundation’s biennial New Music Award, which rewards “creative and exceptional new musical projects”, returns for 2010. Offering a £50,000 prize to a musical idea that has not yet been realised, the New Music award is open to anyone based in the UK who is interested in “pushing the boundaries of the musical genre they work in”. The award has been running since 2005 with the first winner being Jem Finer (of The Pogues) for Score for a Hole in the Ground, a work inspired by the water chimes of Kyoto, using bowls and pivots to manipulate water to create sound. “We’re delighted that, from the two previous New Music Awards, six of the shortlisted creators and others who featured in the long lists have gone on to realise their musical creations even though they weren’t selected as the winner.” she said. The general idea is for the £50,000 award to be used to create even more ambitious music projects. Promoter DF Concerts is working on plans to finally add a touch of live music to Scotland’s Homecoming year celebrations by organising a series of gigs over the November 26-30 St Andrew’s weekend. Earlier this year, plans for a Homecoming Festival were shelved after another set of promoters and local authorities failed to reach an agreement regarding the licensing for the 25,000-capacity event, which was to be held in Ayrshire. DF Concerts has announced they are to organise Homecoming Live – The Final Fling, a unique extravaganza that will celebrate Scotland's contribution to the worldwide music scene over the St Andrew's Day Weekend. The centrepiece of the programme will take place at the SECC on November 28 featuring internationally renowned, home-grown artists. Glasgow's recent UNESCO City of Music appointment makes it the ideal location for this exciting, one-off Scottish musical feast featuring the cream of the country's music legends, past, present and future! In addition to using the SECC, Homecoming Live gigs will also take place at DF’s own venue King Tut’s Wah Wah Hut. Among the acts confirmed for the event are Deacon Blue, Lloyd Cole, Hue and Cry, Midge Ure, The View, The Law, The Bluebells, King Creosote, James Grant, The Vaseline’s, Idlewild, Kevin McDermott and Tommy Reilly, which promoter Geoff Ellis says demonstrates the influence Scotland has had on the international music scene over the past three decades. Tickets for Homecoming Live are on sale today, Friday 11th September. Tickets will be available from www.gigsinscotland.com/homecominglive, by calling Ticketmaster on 08444 999 990 or alternatively can be bought in person from official Ticketmaster Centres across the UK. Speech Debelle won the Barclaycard Mercury Prize last night for her album 'Speech Therapy'. She was presented with her award by Jools Holland at the award ceremony in the Grosvenor House Hotel in London. The 26 year old South London rapper whose real name is Corynne Elliot’s debut album sold fewer than 3,000 copies since it was released in June. "Thank you to the panellists, to my band, thank you so much to my mum, to my fans," she said, accepting her award. "Thank you to whoever's name's on the cheque. I'll be here all night – thank you very much, good night." Orbital and Friendly Fires have been confirmed as headliners for the UK’s biggest music and winter sports festival, as London Freeze marks its return next month. Held in Battersea Power Station, London Freeze is part of a new breed of winter events. Mixing live music with winter sports the debut Freeze in 2008 proved a huge success. The gathering is expanding its capacity to 15,000 and the live music will accompany three days of world class winter sports competition, with the area around the former power station transformed into an international competition standard snowboarding and free ski venue featuring a 32m high ski jump and over 500 tonnes of snow. Orbital will headline at the event the October 30 night, while Friendly Fires close the event on November 1. More acts are set to be announced soon. London Freeze takes place October 30th - November 1st. Tickets are available to buy now, either for the whole weekend or individual days. For more information, see Londonfreeze.com. Music videos will return to the British version of YouTube.com after the streaming site reached an agreement with songwriters' group PRS for Music. The site's owners Google and PRS for Music resolved a long-running dispute over revenues, which saw music videos pulled off YouTube in the UK in March. A new multi-million pound deal has now been reached, which will last until June 2012, and sees YouTube pay the PRS, which is responsible for paying out royalties to composers, publishers and songwriters, a lump sum of money – as opposed to the usual pay-per-view model. PRS for Music said it was pleased an agreement had been reached but neither side would reveal details of the deal. The line-up for Oxjam’s month of music has been unveiled and includes Editors, Basement Jaxx, Fatboy Slim, Just Jack and VV Brown. Nitin Sawhney and Tony Allen are also among the acts announced to launch a series of charity shows. The gigs will help kick off thousands of other fundraising music events to take place across the country in aid of Oxfam. The acts will play gigs in a secret Oxfam shop in London with a 150-person capacity in aid of the charity this September and October. The event culminates on 25 October with the Oxjam Takeover - an event spanning 150 venues in more than 20 cities, with more than 2000 artists performing to raise money for the charity. The focus throughout will be on Oxfam's blue faces campaign, which is aimed at raising awareness of climate change issues. The likes of Jarvis Cocker, Little Boots, The Kooks’ Luke Pritchard and Fatboy Slim have already painted their faces blue and been photographed by Rankin in order to encourage the government to take action. Tickets for the shows go on sale this Friday (September 4) from 9am. Local rock band Broken Records were performing at Edinburgh’s Queens Hall as part of the Edge Festival and even before we got inside the venue you could feel the buzz surrounding these guys from the large crowd gathered outside. Supporting Broken Records was Glasgow band, My Latest Novel who combines haunting drum beats with intensely dramatic vocals, which made for an eerily beautiful set. As Broken Records take to the stage, you can definitely sense that these guys have come a long way, you can see the confidence that the seven-piece outfit have gained since last year’s performance at the cities Liquid rooms. The impressive assortment of artists and instruments mean Broken Records are unbelievably loud and overwhelming, creating a theatrical experience for the audience. It has been said that both bands bear a strong Arcade Fire influence, and I would agree. Broken Records maintain a somewhat rustic air about them, sporting casual waistcoats, baggy jumpers and fuzzy, perhaps unintentional beards. They play guitar and drums, but these sounds are bolstered by frequent use of double bass, fiddle and accordion. The band gave an exciting and energetic performance of a flawless set. Each member of Broken Records displayed formidable talent and their particular method of instrument swapping and hopping allows them to create their own combination of memorable tunes, measured instrumentation and epic, emotional lifts. Considering their previous successes, the third album from Arctic Monkeys had a lot to live up to. Humbug, co produced by Josh Homme from Queens of the Stone Age, sounds a lot darker and grown up than earlier offerings from the Sheffield quartet. It seems Homme encouraged the band to venture beyond their usual punky, aggressive impulses. 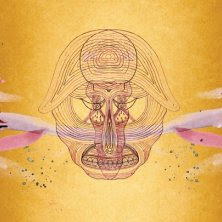 The album kicks off with, My Propeller, guided along by hypnotic guitar and bass riffs, as well as ghostly backing vocals, nothing amazing, just a good song that seems to serve as an extended introduction to the next track. Crying Lightning, their first single which has been released from the album is a great song, with the building tempo and tension finding release during the driving, catchy chorus. The band’s twisty-turny riffing is supremely honed on Dangerous Animals and Potion Approaching, the closest approximation to the old Arctic Monkeys. If there’s to be one let down track on the album then its Fire and the Thud, even with the sultry Alison Mosshart’s backing vocals it’s a bit lacklustre and boring. Cornerstone is great from the start, blending the evocative keyboards and soaring arrangements with Turner’s cheeky lyrics it’s light-hearted, chilled and a definite hit. This is followed by Dance Little Liar which is another great song, dark and low, builds up nicely to its conclusion with machine gun like guitar riffs from Turner and Jamie Cook. The rapid, fiery tempo-changes of Pretty Visitors are nothing short of exhilarating. The album concludes on an eerie, sinister note with the dark, twisted song, Jewellers Hands. Humbug is an unpredictable but mesmerising album that sees Arctic Monkeys being pulled in quite a few musical directions but also sees them return with their most thought-provoking, intelligent release to date. This year’s MOBO Awards are set to take place in Scotland for the first time and organisers have revealed the full list of nominations. Traditionally held in London, MOBO celebrates music of black origin. The ceremony itself takes place on the 30th of September. Tinchy Stryder, Dizzee Rascal, N-Dubz and Chipmunk lead the way with the most nominations this year. Organisers of the Reading and Leeds Festivals have confirmed that they are banning music fans from taking flags into the arenas at this years events. They have said flags will not be allowed in as they block the view of other people in the crowd. The official websites for both festivals state: "No flags will be allowed into the arena. They restrict the view of people behind." Flags have been a festival tradition for the past couple of decades, but seemed to reach critical mass at this year's Glastonbury, particularly during Bruce Springsteen's headlining set. Other changes for 2009 at both festivals include no on-site box office at the event itself, and no ticket collection point, as both events sold out weeks ago. There is also a ban on aerosols over 100ml and gas canisters. Organisers also suggest that young-looking over-18s wear a wristband to prove they are old enough to buy alcohol. The annual music events, which begin on Friday, will see 150 acts play over three days, including headliners The Arctic Monkeys, Radiohead and Kings of Leon. The government has confirmed it is considering tough new measures to tackle illegal filesharing, possibly even cutting off the internet connections of repeat offenders. An amendment has been made to the Digital Britain report, which was originally published in June, in order to give stricter punishments to persistent illegal downloader’s. Business Secretary Lord Mandelson is understood to have personally intervened to make the penalties for internet pirates more severe, reports BBC News. People who continually download illegal music and film content could have their internet connections cut off, under the new measures. Initially, the report gave regulator OFCOM until 2012 to decide whether it was necessary to catch illegal downloader’s. However, a statement from the Department for Business, Innovation & Skills released today (August 25) declares that the 2012 date is "too long to wait". The report states that it should be up to internet service providers (ISPs) to catch and take action against offenders. However, the Internet Service Providers' Association (ISPA) argued that it shouldn't be within their remit to police the internet, stating that it is "disappointed by the proposal to force ISPs to suspend users' accounts". Early bird tickets for Liverpool Sound City 2010 have gone on sale. Liverpool Sound City 2010 will take place at various venues around Liverpool from 19th – 22nd May. Festival wristbands, which allow access to all the shows at the event, are available now, priced at £40. Whereas full delegate tickets, which allow access to the gigs, events and conference, are priced at £100. Liverpool's own, version of SXSW returns in May 2010. Showcasing local and national talent the festival is a chance for industry insiders, promoters, and tastemakers to sign the next big thing and music lovers to discover their favourite new band. Various venues around the city's cultural quarter will provide a platform for bands and artists to show off their skills, but there will also be conferences and panels held over the weekend as well as label-hosted nights. The PRS Foundation for New Music is offering funding for musicians or promoters involved in electronic music to help put on live events. Through its Live Connections funding scheme the organisation is offering grants of up to £5000 to anyone who wants to create a one-off live performance of original electronic music and who have plans for a live performance sometime in 2010. PRS Foundation co-director Charlotte Ray has said that the scheme was created to encourage people to get their electronic music that they may have on their laptops out to audiences in a live setting. The scheme is looking for proposals that demonstrate innovation in the live presentation of the music: for instance, in the use of unusual venues, a strong visual presentation or new methods of performing live. As with all of the foundation’s live music grants, the funding opportunity is offered to collaborative partnerships of musicians and promoters where there is a track record of successfully carrying out an event. Support is offered towards the costs of staging an event, including assistance on covering musicians’ fees, venue/equipment hire and promotion and marketing. The deadline for applications is Friday October 9. One of last years successful applications involved live performances at the BFI Southbank in London when electronic music was used to accompany silent films. Birds Eye View received £3,000 from the PRS Foundation, towards their Sound & Silent’s season of live musical commissions to classic silent films that celebrate women in cinema. Up and coming rock band, Vinyl are jetting off on a week long tour of New York, according to today’s Barrhead News. The unsigned group from Barrhead head off to the Big Apple on Friday (August 21), where they will be performing twice at the prestigious Westcott Theatre. If that wasn’t enough the rock band will also have the honour of being the first ever British band to perform at the Syracuse Music Festival. With crowds of up to 10,000 people expected at the annual event playing at the festival will be a dream come true for the currently unsigned band. Last year Vinyl played in Hong Kong at the International Jam Festival where they were given the prestigious best performance and solo guitarist awards. Since then they have performed at the Glasgow Royal Concert Hall, Newcastle’s Journal Tyne Theatre, Headlined Glasgow's ABC2 and Barrowlands2. The unsigned band told the Barrhead News that they hope touring across the pond will lead to further tours around the world. The Pirate Party UK has officially registered with the Electoral Commission, with a mandate to safeguard people’s online privacy, increase freedom of speech and reform copyright and patent laws. The Pirate party UK was added to the electoral register of political parties in the UK on the 30th of July and is now real British political party. Formally registering allows the party to enter candidates in the next general election. The Swedish version of the party won a seat in the European Parliament in June 2009 after capturing 7.1% of the votes in Sweden. "Now the party can really start. It's time for us to tell the world that we exist, to recruit members, raise funds and gear up to fight the general election. The officers and web team have built the framework that the party needs to get going, now it's time for you to make things happen," he wrote, before asking people to become members, donate and begin campaigning in their constituency. "Copyright is not a necessary foundation for artistic and commercial advancement in any age," states their manifesto. According to a survey commissioned by UK Music, the majority of young people in the UK are still downloading music illegally despite the rise of streaming services. The survey states that 61 per cent of young people still prefer to download music illegally. Last year, the figure stood at 63 per cent. However, of the 61 per cent that admitted illegally downloading music, 83 per cent of that them also claimed to be doing it on a weekly and sometimes a daily basis. Over 1800 14-24 year olds from across the UK were questioned for the survey. Elsewhere, 78 per cent of people said they would not pay for premium streaming services like Spotify. 49 per cent of people who would pay for unlimited streaming would also continue to download illegally, the report states. Surprisingly the survey also found that of those who admitted to illegally downloading music, 85 per cent said that they would pay up front for an unlimited music download service. The survey also states that the average computer contains 8159 tracks. Dundee band The View are set to play the venue they call their "home from home" for the final time, tonight (August 7). The Doghouse Dundee, known for giving up-and-coming acts a chance to showcase their talent, is to close for good following tonight’s gig after being sold by owners, Punch Taverns. A statement about The Doghouse said that management were not able to come up with enough money to buy the building from owners Punch Taverns. During the bands early days The View would rehearse, play to fans and practically live in the Brown Street venue. A farewell gig is being held before staff clear out the building ahead of the closure on Monday. The View will headline the goodbye gig and up-and-coming act The Law will also take to the stage. The development is a bitter blow to venue manager Sarah Hill, who gathered support from The View and other top local acts to reopen the venue just two months ago. Two fundraising concerts described by Sarah as the venue's 'last fight' were headlined by Dundee's most famous sons and successfully raised enough money to reopen its doors after a two month hiatus. The View bassist Kieren Webster said the band are "gutted" the venue is closing, though he hoped it would not be the end for The Doghouse. He said: "We have faith that it is not the end and we are gonna make sure we give it a right royal send-off, and while everyone is saying goodbye to one era, hopefully we will be saying hello to the next." Venue manager Sarah Hill echoed Webster's hopes for the future, stating that a new venue is in the pipeline. She said: "Further discussions will be taking place, but I think we may have the new venue available to us to move in and reopen in around a month's time. It seems the only right thing to do, as allowing doors to close forever is not an option. "I think we are much more than just a music venue to the local community, and hopefully we will continue to be so for many years to come. Watch this space." V Festival have announced the winners of 2009 Road to V Competition. The winners were plucked from more than 2,600 hopefuls who entered this years contest. The two up-and-coming acts will open this year's festivals, joining festival favourites The Killers and Oasis along with a whole host of other bands. Rock quintet The Last Republic and pop punk act Underline the Sky won this year's contest, after playing sets at Brighton's The Great Escape event in May ahead of The Charlatans and Just Jack, who have mentored this year's entrants. Underline the Sky will play Chelmsford on Saturday 22nd of August and Stafford on Sunday 23rd of August, with The Last Republic going the opposite way. V Festival takes place 22nd - 23rd of August at sites in Chelmsford and Staffordshire. Organisers of the Suffolk-based Bang Fest have confirmed that the festival has now been cancelled. The event, due to take place in Suffolk on the 29th to 30th of August, has been cancelled “due to reasons beyond our control” according to promoters. The festival has promised three arenas of “raving fun in the great British countryside” for the price of £45. To make up for the cancellation, they will be hosting a free club night in London on Friday 28th August featuring Altern-8 and Luke Vibert. The replacement event called Bang Face 69 will take place at The Arches venue in Southwark. Australian band Men At Work are being sued by a music publisher who claims their 1983 hit 'Down Under' plagiarises a song originally written for the Girl Guides. Publisher Larrikin Music claims the flute riff from the 1981 hit is stolen from Kookaburra Sits in the Old Gum Tree, written by Marion Sinclair for the Girl Guides in 1934. Larrikin Music is suing record labels Sony BMG and EMI for breach of copyright, as well as seeking royalties from the song. The band dispute Larrikin's claim that it bought the song's copyright in 1990. But a judge in Sydney has ruled that the publisher does own the song, clearing the way for a plagiarism case. The publisher began the action after the alleged similarities were pointed out in a music quiz programme shown in Australia in 2007. Hockey was on my ‘Must See at T list’; ever since I heard they had been added to the festival line-up. So, when I could hear them playing ‘Work’ as I was approaching the tent that is the ‘Red Bull Bedroom Jam Futures Stage’, I was annoyed that I’d decided to nip to the bar before they came on stage, missing most of the set opener. However, that was nothing compared to the panic and confusion I had when, towards the end of the song, singer Ben Grubin, said "Bye bye!" to the crowd before walking to the back of the stage. “How long was I at the bar for?” I said out loud, then I noticed Grubin picking up a set of drumsticks and joining drummer Anthony Stassi in finishing off the track. They had me going for a second or two…..pesky kids!! The Portland, Oregon band played a number of tracks from their soon-to-be released debut album 'Mind Chaos', including hit single 'Learn to Lose'. Grubin was a bit surprised by the number of people singing along throughout the whole set. He looked bewildered as he asked a group of girls at the front "You guys must have seen us before, right?!" Hit single 'Too Fake' got the best response from the Balado crowd, with most people dancing and singing along and a lot of them throwing their drinks in the air as they punched the sky whilst belting out the chorus. I wished their set was longer; it seemed to go by so quick and I thought there would have been a bigger crowd. I was surprised to see the tent just over half full. Hockey have charisma as well as an incredible energy about them that’s totally infectious. Festival Republic today announced the line up for the BBC Introducing stages at the Reading & Leeds Festivals over the August bank holiday weekend. Following its successful debut last year the BBC Introducing stage will once again feature at both festival sites showcasing the UK's best unsigned and emerging talent. The line up includes electro band Soft Toy Emergency, punk-rock quintet The Living Daylights and soulful funk band The Sixty Watt Club. The Introducing line up, which also includes To The Bones, Ellen and the Escapades, British Intelligence, The Ruling Class and Goldheart Assembly, will play at both Leeds and Reading on 28th-30th of August. Bear Driver, The Teeth, Horse Guards Parade, Punch & The Apostles, Boney Black, Chickenhawk and Kinch are also playing. The list is completed by: The Old Romantic Killer Band, Frontiers, Our Fold, Screaming Lights, Come on Gang, Kutosis, What Makes You Beautiful, Minnaars, A Plastic Rose, Suprise...Fire, The NEAT, Lovvers, Wonderswan and Milk White White Teeth. The bands are chosen through a combination of the BBC's countrywide Introducing shows, Leeds promoters Futuresound and promoters Festival Republic.